Lawyers to the Rescue, a nonprofit organization created by legal professionals committed to bringing worldwide humanitarian support in times of crisis, has launched a summer fundraising drive to support its charitable efforts called The 100 Heroes Club. 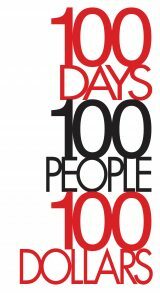 During the next 100 days, the organization hopes to receive $100 donations from 100 people. Law Firm Membership to Lawyers to the Rescue: You will receive invitations to participate in all community service programs and related activities, a listing on the Lawyers to the Rescue website as a Diamond Life Vest Donor, including photos, a link to the firm and each attorney, and four copies of the book, “Sara Rose, Kid Lawyer Book.” Donors will also be recognized during future events and receive the Lawyers to the Rescue 100 Heroes Club Award. Proceeds will benefit Lawyer’s the Rescue’s signature programs like the monthly legal clinic for the homeless at the Camillus House in downtown Miami and an upcoming back-to-school anti-school bullying symposium this fall. Founded by South Florida attorney Spencer Aronfeld and his wife Dina, Lawyers To The Rescue assists those in need regardless of their race, religion, sexual orientation or political affiliation. The organization was created in response to the earthquake in Haiti where more than 230,000 people died and more than one million people were left homeless. Lawyers to the Rescue has a new student chapter at the Florida International University School of Law. The organization recently held a legal clinic for the homeless at the Camillus House in downtown Miami. Lawyers to the Rescue also assisted in the construction of a Habitat for Humanity home, held fundraisers for tornado, earthquake and tsunami disaster victims in the U.S., Japan, Chile, and Haiti. For more information about the organization, visit: www.lawyerstotherescue.org.